As the students should be prepared for vocational training, Angels for Children not only wants to improve teaching English but also natural sciences at Secondary School Phan Heng. During summer 2015, the rebuilding and enlargement of the former sports hall began. The results of this were, a modern physics and chemistry classroom and a room for preparing teaching lessons and storing the equipment. 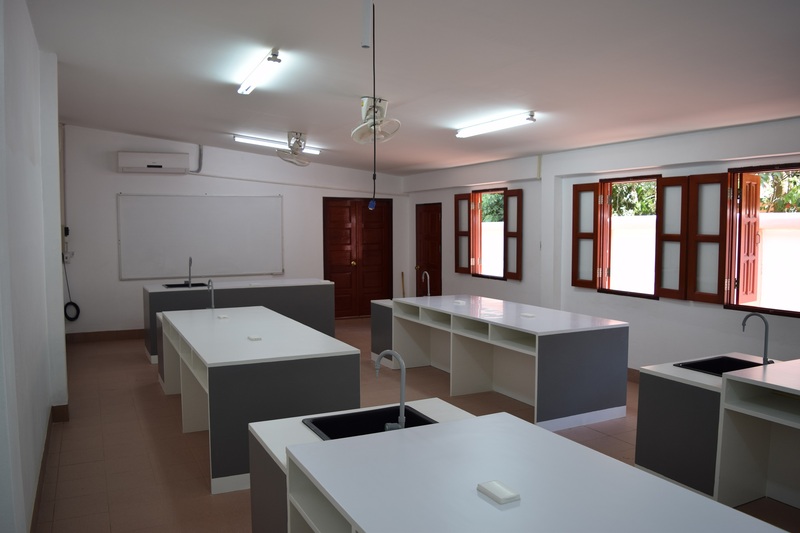 The classroom which was ready in the beginning of 2016 has spaces for 32 pupils on four big tables which are equipped with sinks and sockets. Because of the modern equipment with a beamer, air-condition, and additional seats the room can also be used for occasions like film shows and lectures. 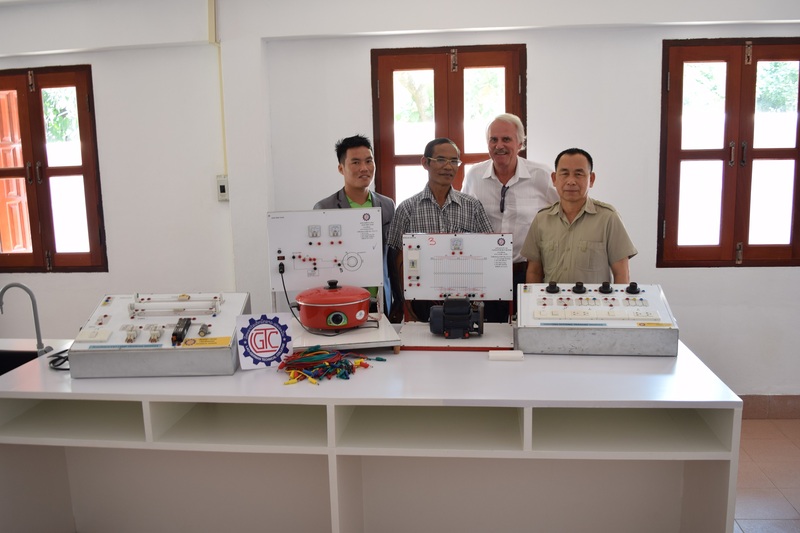 A donation of work pieces of electric engineering apprentices of the Lao German Technical College makes it possible that besides the theoretical physic lessons also practical ones can take place. Pupils have the advantage to learn with the material itself, which will be used in a vocational training as well. Teaching material for biology and chemistry have been purchased for the new school year 2016.